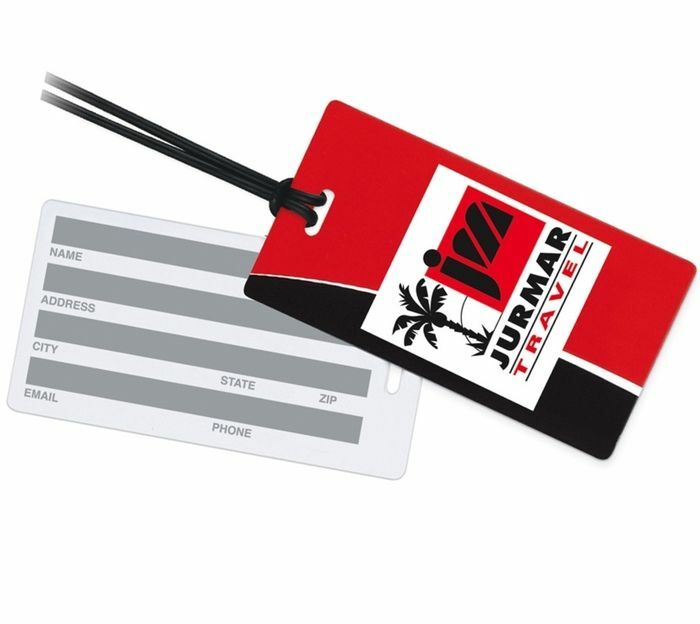 Send your brand off to the friendly skies on this Write White On Back Luggage Tag! This nifty bag identifier features an attached gray polypropylene strap, an ID pocket on back, and a standard ID card included. So Happy with our Luggage Tags!! We received the luggage tags on Saturday. We are VERY PLEASED, they look really nice !!!!!! Thanks for a good job ! Have a pleasant Thanksgiving.